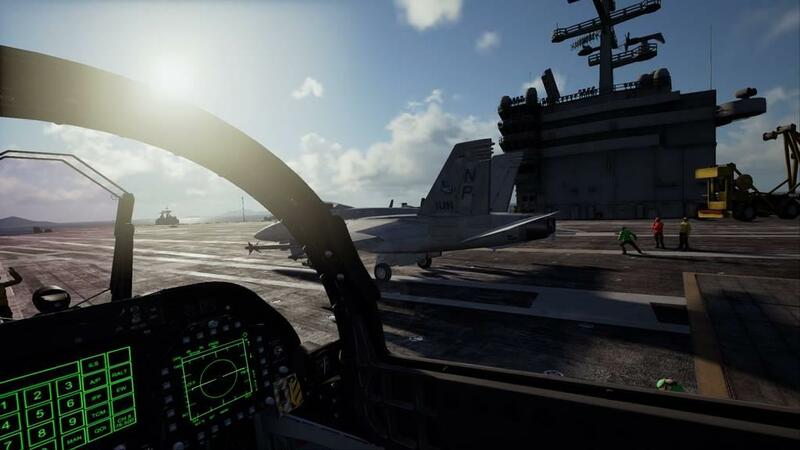 I have to admit that I have little past experience with the Air Combat series, other than memories of contemporaneously high quality graphics. That said, even people having played at least one previous version in the series may find their memories to be hazy - the most recent previous version was released something like a decade ago. As I said, I was certainly aware of the title, having seen the ads for it and I remember wishing that I had a console to play it on. 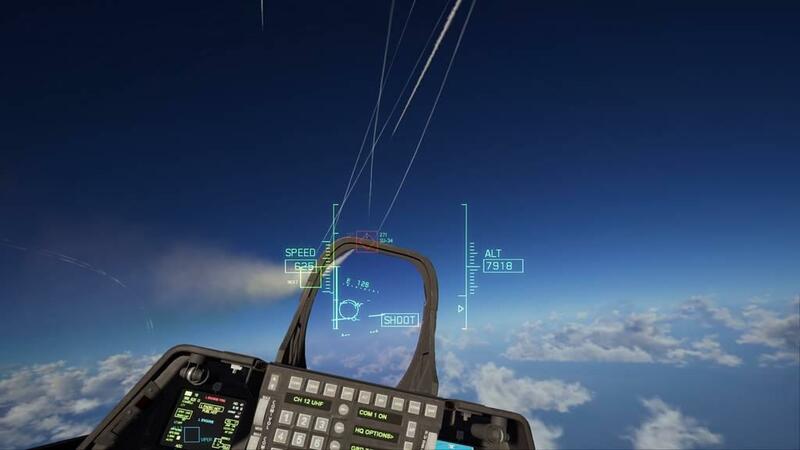 There was a time (also roughly a decade ago) when I strongly preferred more realism in my air combat games over the “me against the world” console-style arcade games and it took a pretty pricey PC to run them - a PlayStation just wasn’t in the budget. 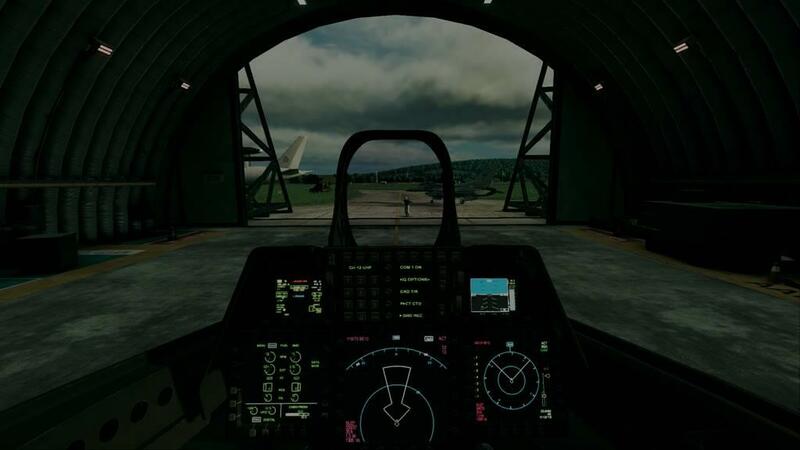 Part of the appeal of the more sophisticated PC-based sims was the realism and complexity, of course, which really took off with the advent of DCS World and the incredibly detailed A-10C. It fascinated me like no other, mostly for the (probably mistaken) belief that I could jump into a real A-10 and start it up. While that level of immersion is intriguing in its own way, it can most certainly be overbearing on those inevitable days when you just want to play. 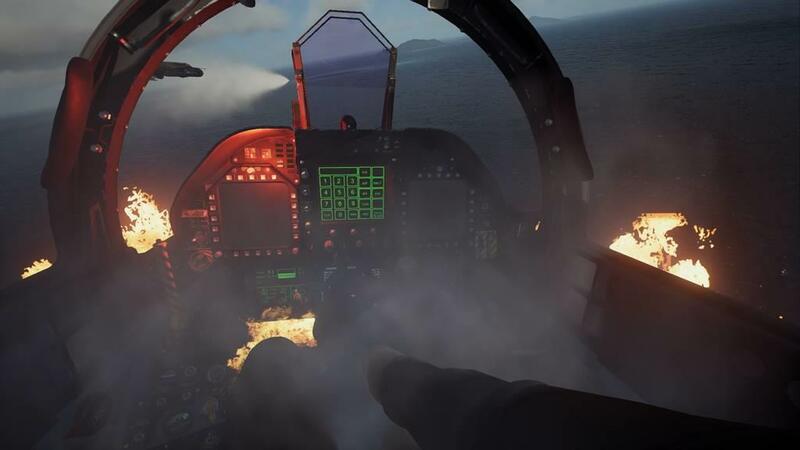 With a typical IL-2 Sturmovik mission being comprised of an hour of flying, two or three minutes of combat (assuming you find the target), and another hour flying back, the taste for high-fidelity simulation can wane. 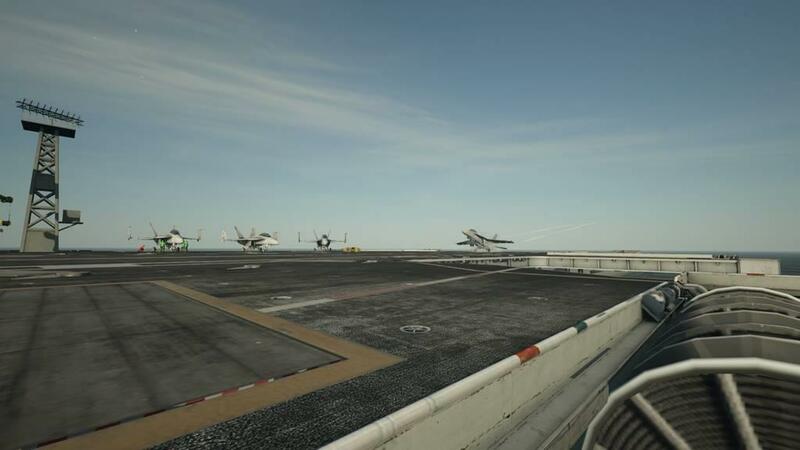 Those are the days when games like Air Combat 7: Skies Unknown are the better choice. 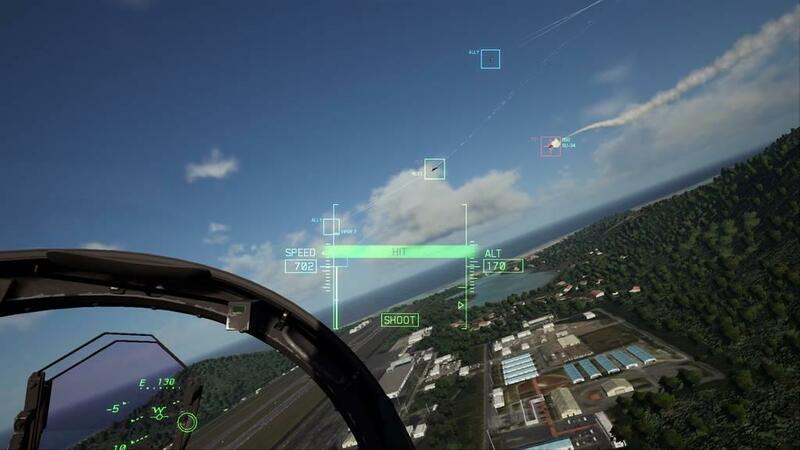 Graphics as intense as the gameplay and a relatively forgiving flight model, they’re easy to pick up and just play. 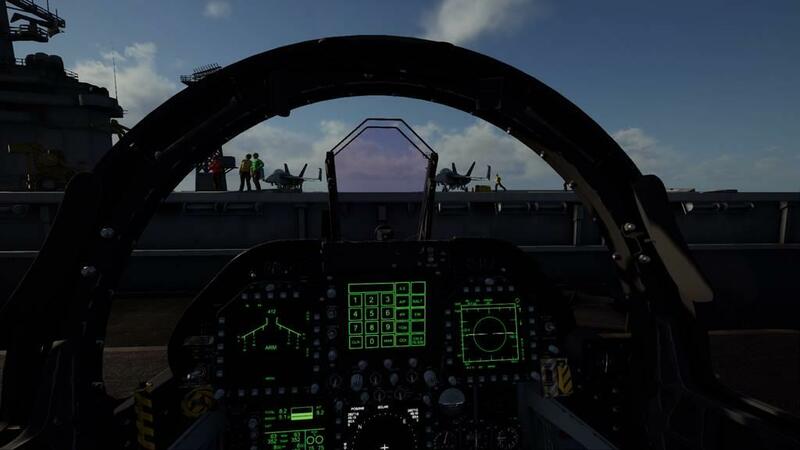 A typical mission can be fit into the time waiting for the INS nav system in the A-10 to come online. Similarly, a failed mission can be restarted and have you deep into the action within a couple of minutes. 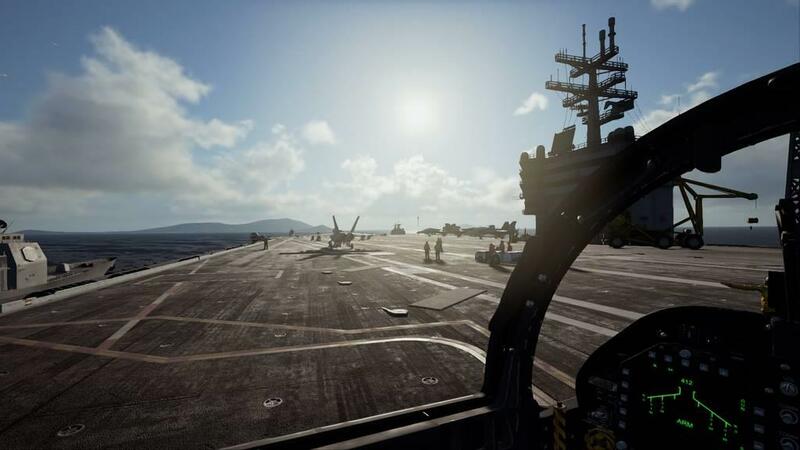 Ace Combat 7 (AC7) follows well-established trends in arcade-ish shooters (make no mistake, this game is far closer to being a 3rd person shooter than it is a flight sim) in providing a single-player campaign mode and a multiplayer online mode. Each includes an airplane tree, which is essentially the unlock & upgrade path for the collection of included airplanes. Newer and/or more capable airplanes are earned through mission success, as you would expect. At least with regards to the single player campaign, unlocks came pretty quickly. 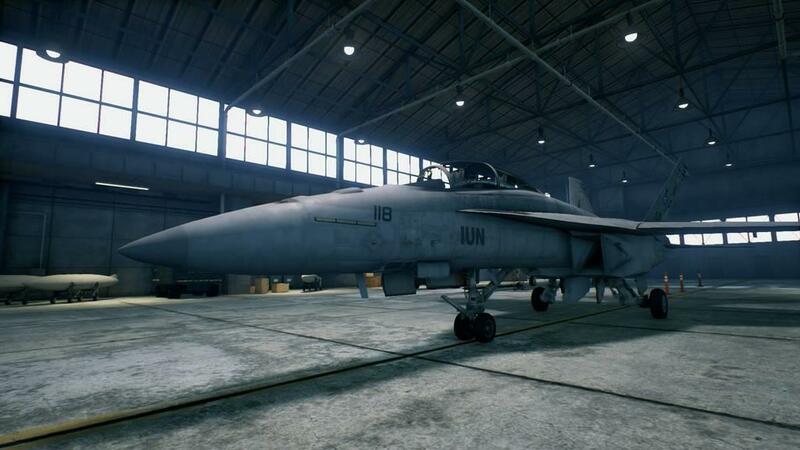 By mission 6 of 20, I already had a nice selection of planes and advanced missiles. This is fortunate for me because I have a very long history of becoming irritated at having to unlock things I’ve already paid for. Taking into account that I was playing at the Easy level, I made it to the fifth mission before the stock F-16 wasn’t capable of delivering a victory. 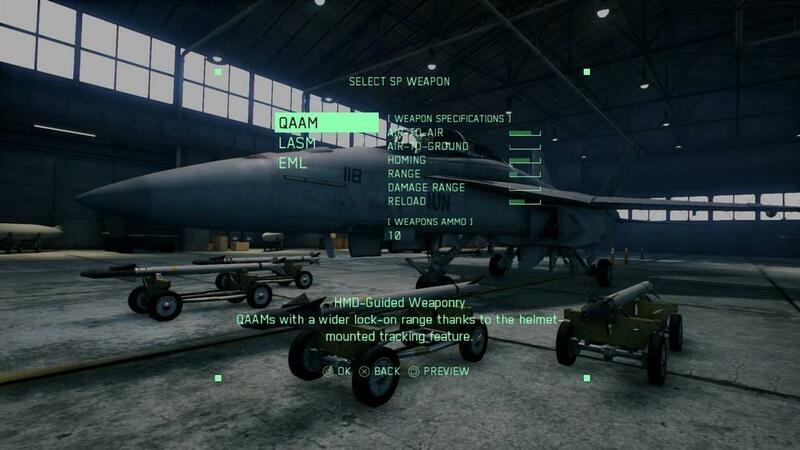 An F-14 and a more advanced missile carried the day. If there’s going to be an upgrade path, I prefer it to be as simple as possible. I’m fighting a war - I don’t want to have to manage research budgets and the like. Being something of an introvert, and quite a bit of an incompetent, I opted to start with the campaign at the aforementioned Easy level. There were actually a couple of reasons (beyond abject cowardice) for doing so: as it turns out, enemy fire is only one way to die in a dogfight though hitting the ground/mountain is equally fatal. While crashing into something solid periodically happens in PC-based sims, it is far more common for me to create my own funeral pyre when flying with s console controller. See also: racing games. I’m utterly inept without a fancy force feedback wheel to assist in my steering. In Easy level, the flight controls default to a simplified system that limits the bank angle on your airplane to steep turns - you won’t be able to roll the plane into inverted flight. If you attempt a half loop, which results in an inverted airplane, the game will automatically roll you back to level. With the array of combatants to deal with, having reduced demands on the piloting side are lifesavers. 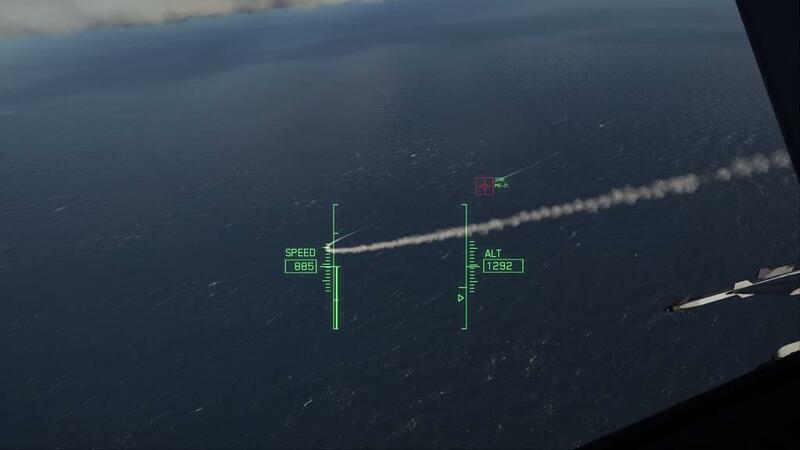 Not surprisingly, Easy mode also makes the actual dogfighting... easier. I use the word “dogfighting,” but that’s not the actual essence of the fighting here; I found that I became 100% dependent on missiles rather than guns. 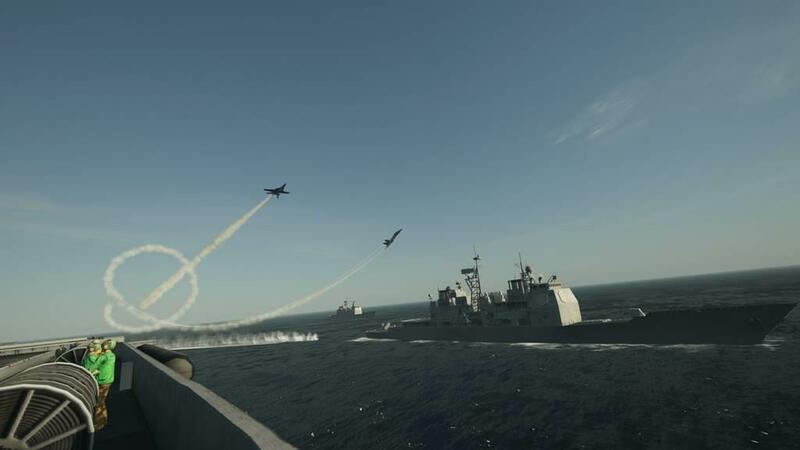 Fighting with missiles probably meets a broad definition of “dogfighting,” but a more traditional sense of the word indicates the close-in energy management style of fighting common in both of the 20th century world wars. Still, there is still a lot of yanking and banking to stay within the limited range of the standard missiles. There are advanced weapons available for upgrade, but those never appeared in sufficient quantities to sustain a given mission. The reason for that scarcity of advanced ordnance was the number of opponents: it was not at all unusual to be in the middle of a fur ball comprised of 20-plus enemy planes and a half dozen or so allies. Roughly two-thirds of those enemy hordes will fall prey to your superior skills (read: Easy mode). They typically come in waves rather than all at once, but even so the skies become very crowded. Mid-air collisions ended up becoming the third component of my personal Triad of Defeat. The campaign strings 20 of these missions into a story featuring you as the primary character. The overall story has to go with two countries, one thinly veiled as an imperialist America, the other as a combo of Europe and Asia. It’s not overbearing with politics, but it is still a little over the top. The character we get to play goes by the name of Trigger. He starts out as one of the good guys, such as they are, but through an accidental downing of an allied plane carrying a VIP, gets reassigned to a squadron of other misfits known as Spare Squadron. Spare, it would seem, is synonymous with “ Expendable.” Even within a squadron of losers, Trigger is treated as a pariah. The story is at least partially one of redemption as Trigger’s skill and success are noticed by his squadron mates. It’s a story, although I didn’t find it to be all that compelling. Remember: I’m only in this for the flying. The missions themselves have a fairly decent level of variety and make good use of varied terrain (flying through canyons dodging missiles and trying to destroy AA gun emplacements is.... invigorating) to keep them interesting. There’s never a dull moment to be found. Some of the missions go on until you have destroyed everything that was determined to be in need of killing, but others are timed. I hate timed missions in general, but I hated them that extra special one little bit more than usual because of the paucity of checkpoints. This issue also came up in non-timed missions, of course, but I typically wasn’t 15 minutes into those before I got killed - those deaths came fast and furious when I changed to the advanced flight physics (mostly due to the restraints on bank angle). There were some missions that I was enjoying enough that I didn’t mind starting from scratch, but there were a couple that I couldn’t wait to finish. Unfortunately, I was unable to try the VR mode for want of s PSVR headset or the multiplayer because it threw an error every time I tried. This may be because I was using a mobile hotspot though, but both sound compelling. Based on experiences with a Rift and PC sims, though, I would be surprised if the VR in this game is incredible. The multiplayer offered me two options in the lobby: co-op or Battle Royale. I chose the latter, mostly because I am the number one cause of death for my wingman. Friendly fire is my specialty. Although I wasn’t able to play it, I assume that it would be similar to the single player experience without the need to attack ground targets too. In other words, adrenaline-fueled mayhem. In a good way. Air Combat 7 perfectly filled the gap in my small library of PS4 games. It’s approachable for rank amateurs and becomes challenging enough for more experienced players. The absence of complexity and abundance of action, the beautifully rendered world, the constant radio chatter during missions, and the not-overly-complicated upgrade path strikes a good balance between being too difficult and time consuming versus being utterly simplistic and shallow. 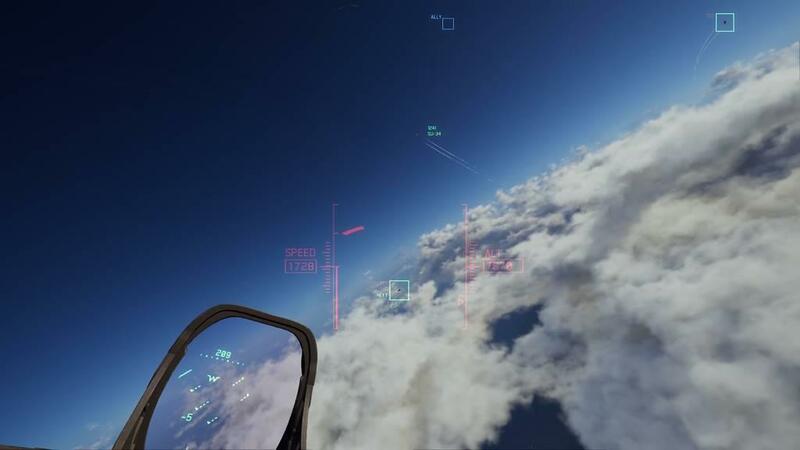 The difficulty level of the missions progresses pretty much in sync with the additional capabilities and upgrades, leading the player into the airplane tree out of necessity as the mission demands increased performance without making it needlessly and potentially frustratingly difficult. The campaign story line doesn’t get in the way of players that don’t care, but there’s enough to it to please those that go. 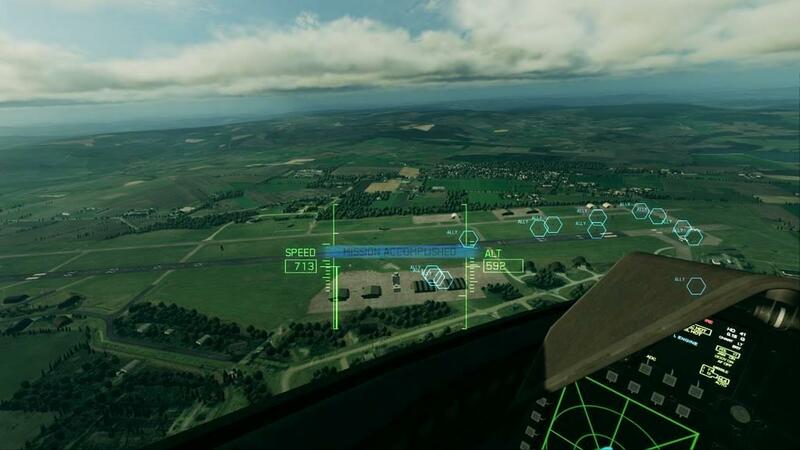 It’s definitely worth the cost of entry for anyone nostalgic for the good old days of Air Combat 6.